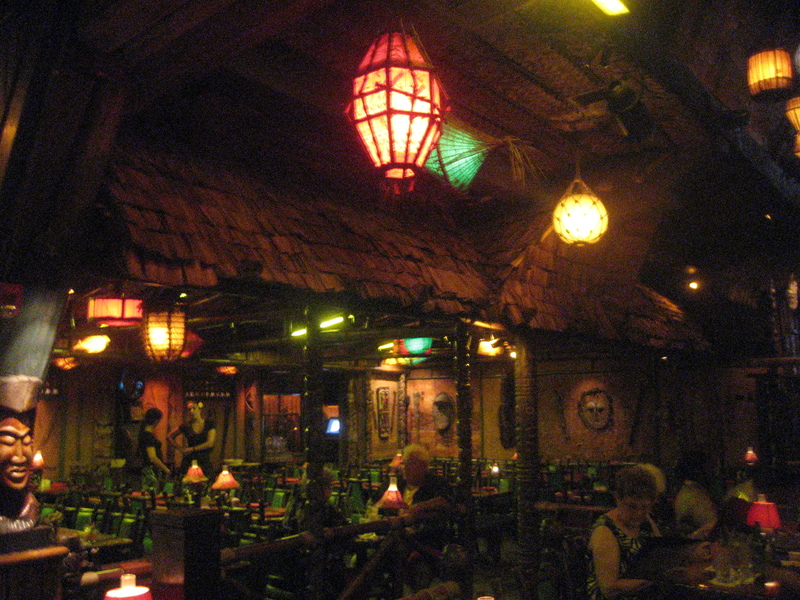 Hands down #1 on my list of the Best Tiki Bars is the Mai-Kai Restaurant in Fort Lauderdale. 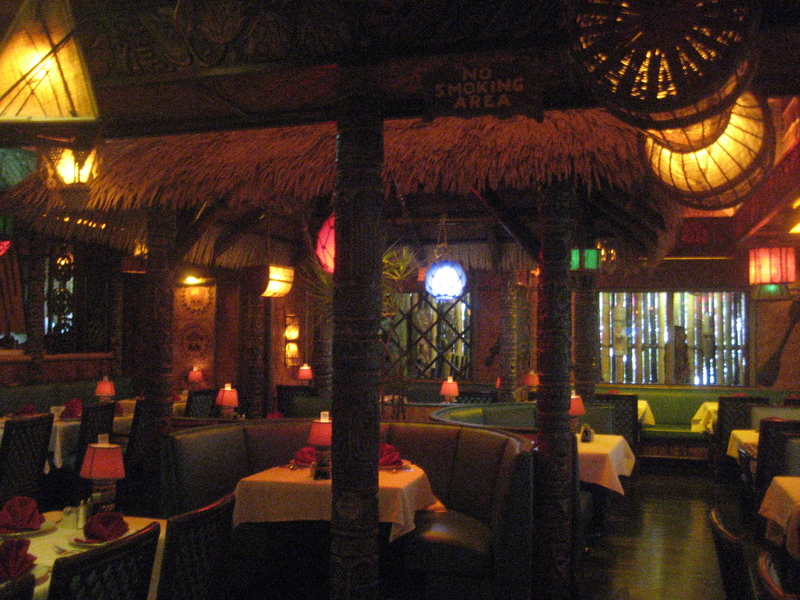 (And I say that coming from California where we’re pretty spoiled by all the awesome tiki spots close by.) 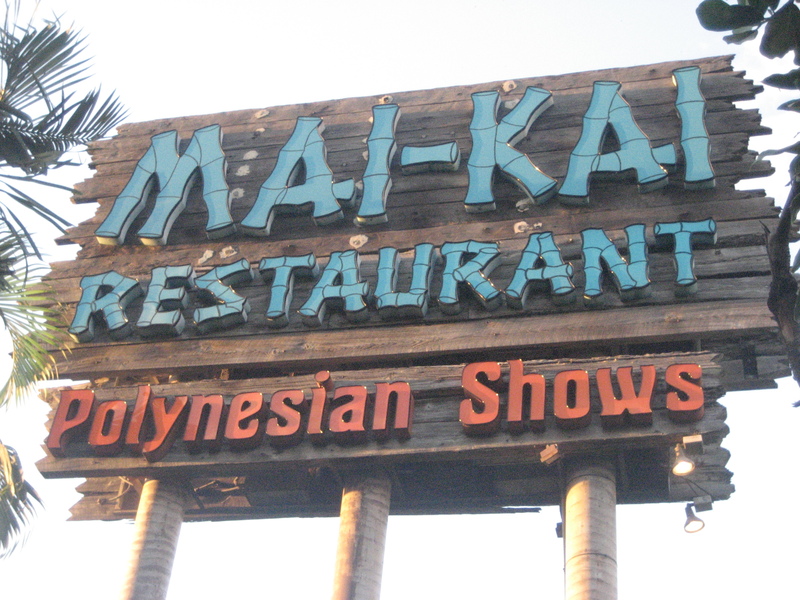 It was started by Chicagoan brothers Robert and Jack Thornton in 1956, and it’s still family-run to this day. 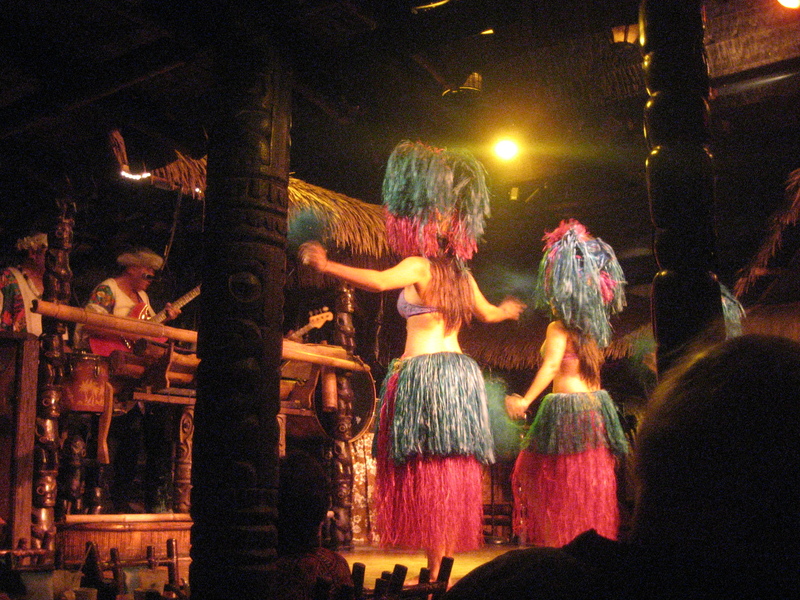 It’s a tiki timewarp that you can’t miss. 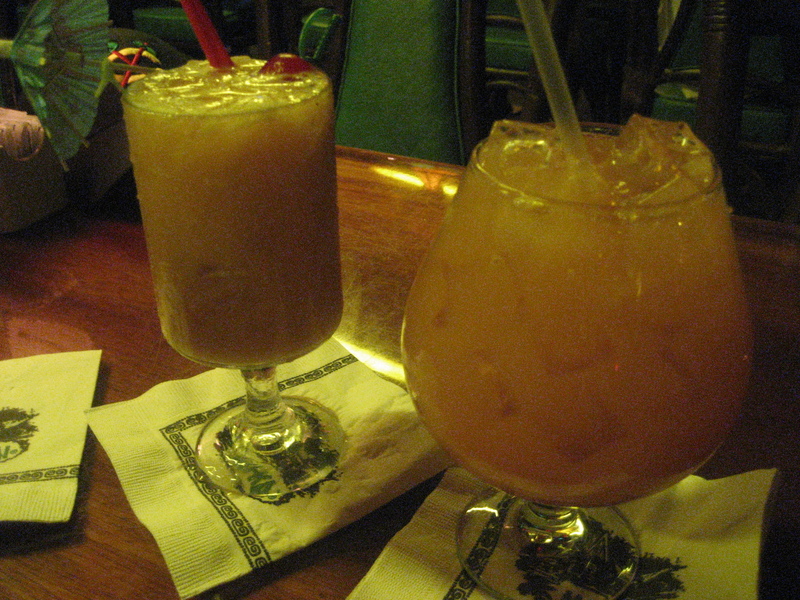 As covered in my previous post, we started out at the Molokai Bar for happy hour. 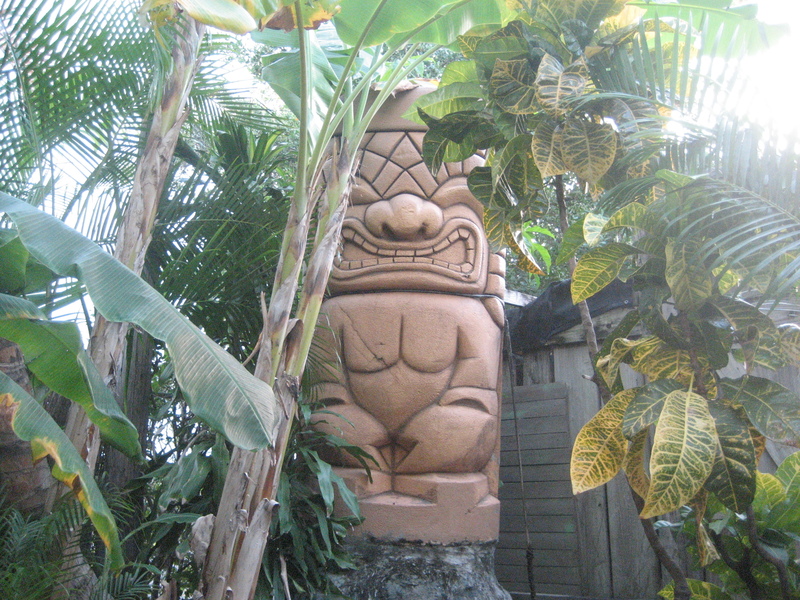 Then we went out to the tropical garden filled with waterfalls and tikis, where photo opportunities abound. 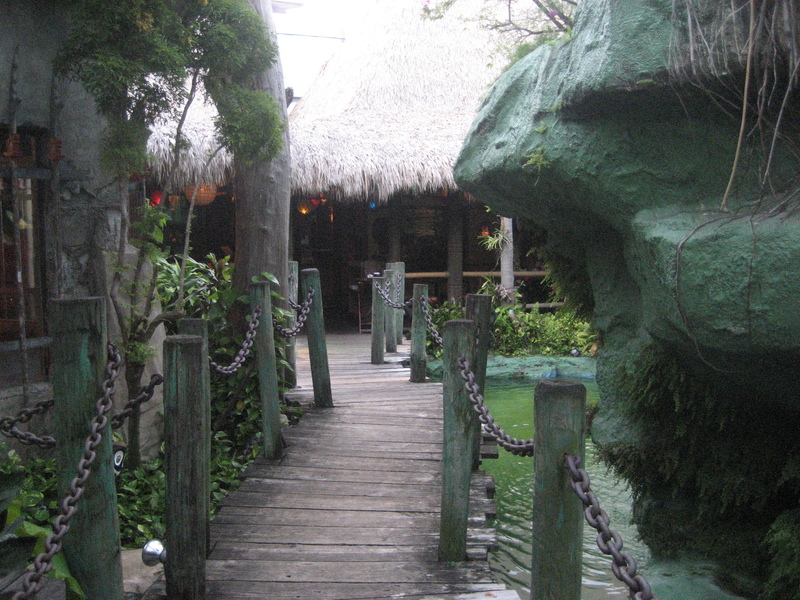 I loved this bridge and the lagoon-like feel. I hear it’s also worth wandering through at night when it’s all dark and mysterious. 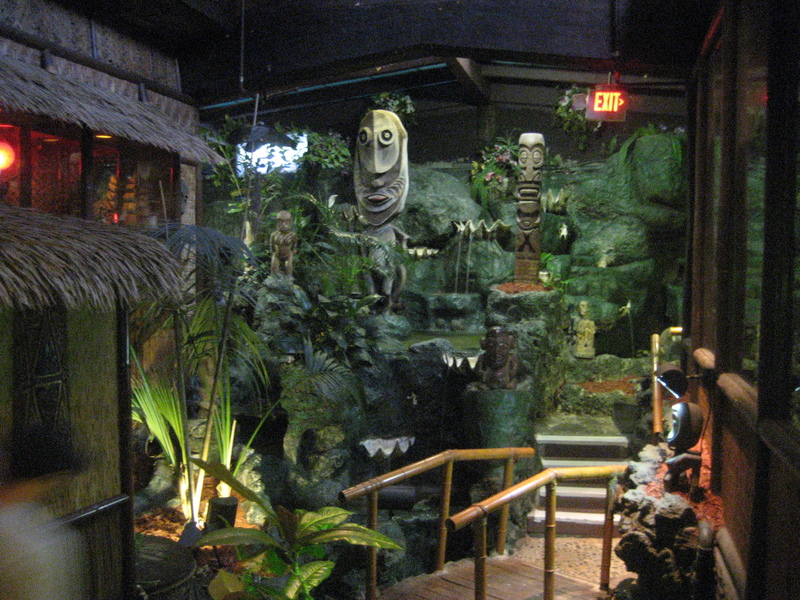 There are seven seating sections, each named after a South Pacific island and decorated with authentic artifacts (including a shrunken head from Samoa). Tonga is popular for its elevated view of the stage for the luau-style show, but we had a closer vantage point from the Papua New Guinea room on the side. 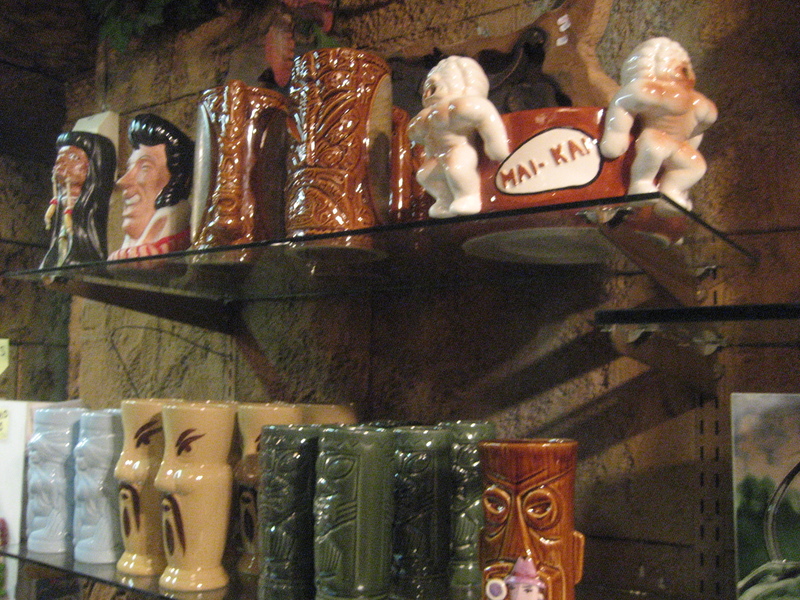 Another one of the special things about the Mai-Kai is the ritual of the Mystery Drink. 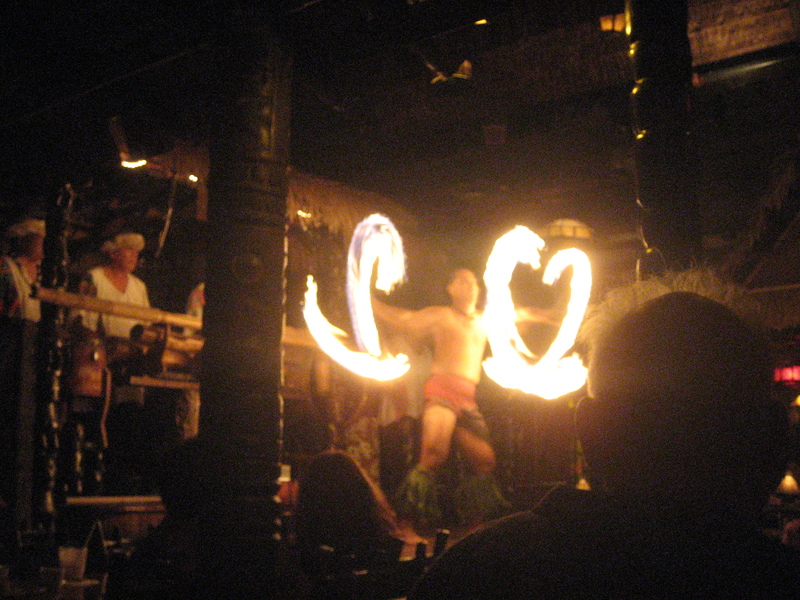 A loud gong brings the dining room to attention as a lovely Mystery Girl delivers a large bowl of booze (enough for four people to share) along with a little hula dance and lei. Ordering cocktails, I again went for the big guns with the Barrel O’ Rum ($14) from the “strong” tropical drinks section (preferred it over the Jet Pilot), while my dear designated driver ordered the non-alcoholic Maui Sunrise ($6.25) made with peaches, bananas and passionfruit syrup (pictured left). Mr. Baseball is happy as long there is steak, so he had the 10 oz. 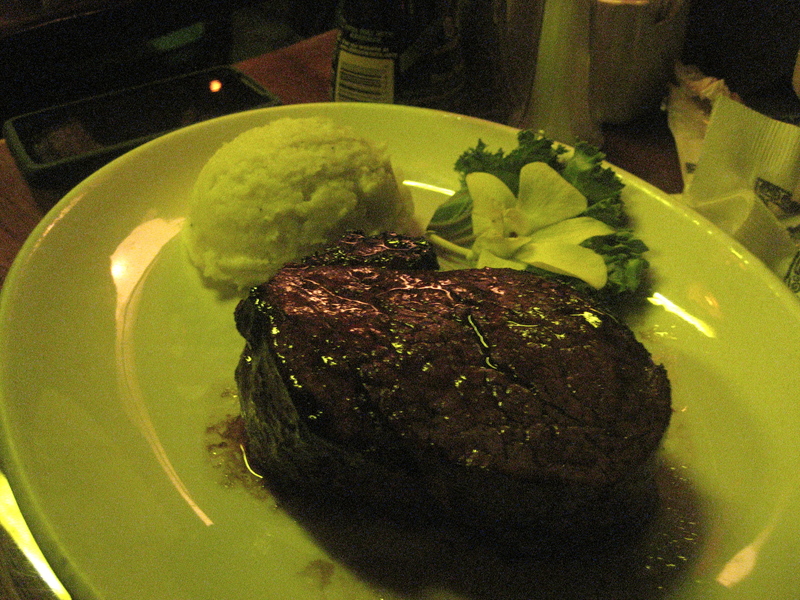 filet mignon ($39.50) perfectly roasted in the Chinese oven. Also on the menu are several seafood preparations and an assortment of Asian dishes like curries, teriyaki chicken, sweet and sour pork, and Peking duck. That mid-century Continental classic Lobster Thermidor, here listed under the more theme-appropriate pseudonym Lobster Tahitienne ($37), is just something you don’t find on menus since diners started caring about things like calories and cholesterol. It’s pure indulgence: more than a pound of lobster sauteed in butter and served in its shell with a creamy sauce with sherry and Dijon mustard. Great pictures! That lobster is making me hungry. Thanks! It was such a wonderful experience going there. 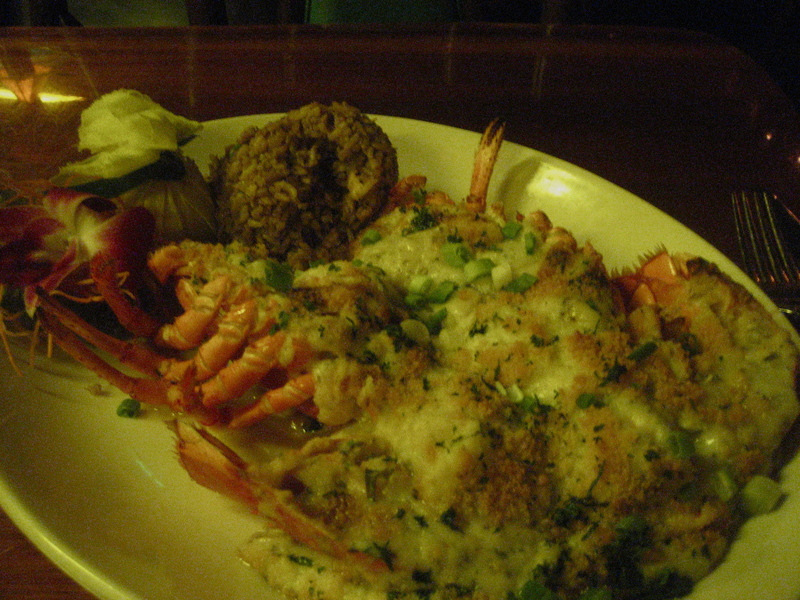 Lobster Thermidor…wow, We were there last week, and had I noticed..Your photos are lovely. Thank you! It’s such a magical place.